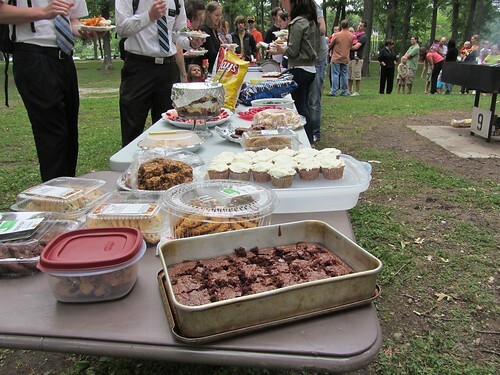 The picnic for our church congregation was a hit. There were about 150 people in attendance. The line for the food was v-e-r-y long. I made three different desserts and they didn't last long. In fact there was barely enough food and not enough dogs and burgers so someone had to make a run for more. 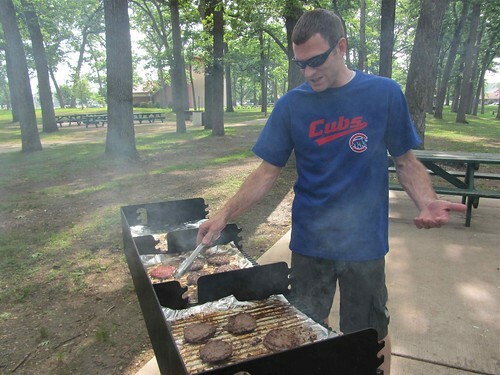 Mickey manned one of the grills.